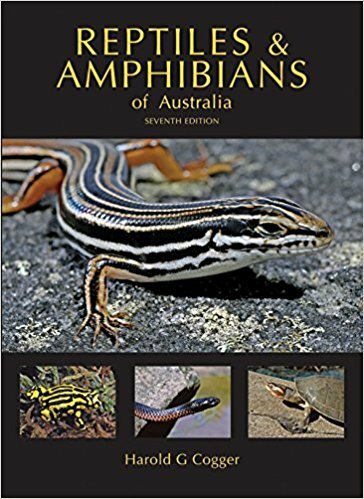 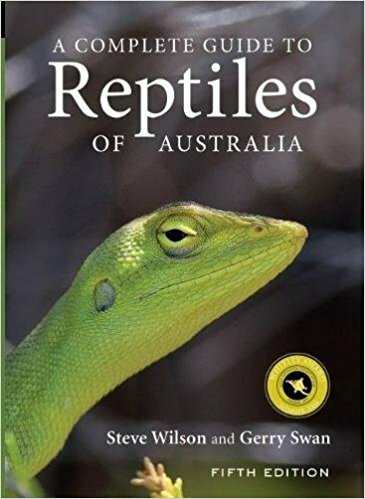 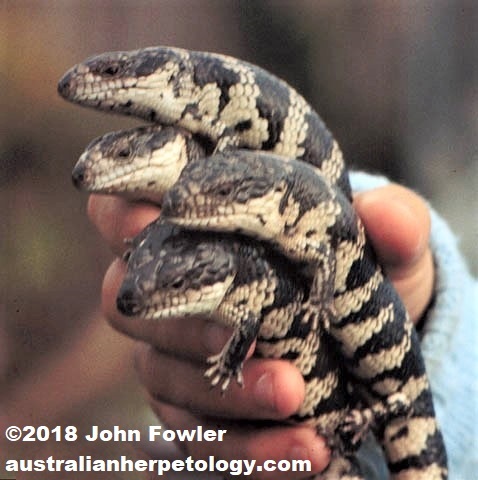 Note that I am unsure where the western form Tiliqua rugosa rugosa becomes Tiliqua rugosa asper but I think it is somewhere around the WA/SA border. 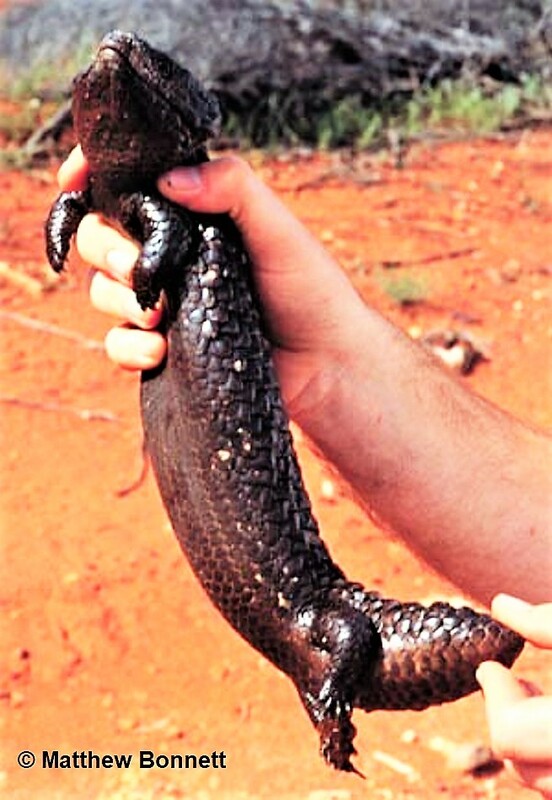 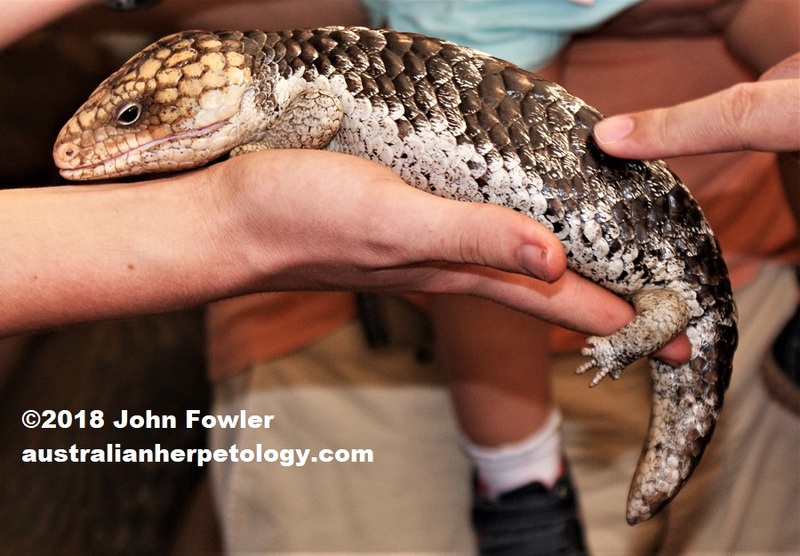 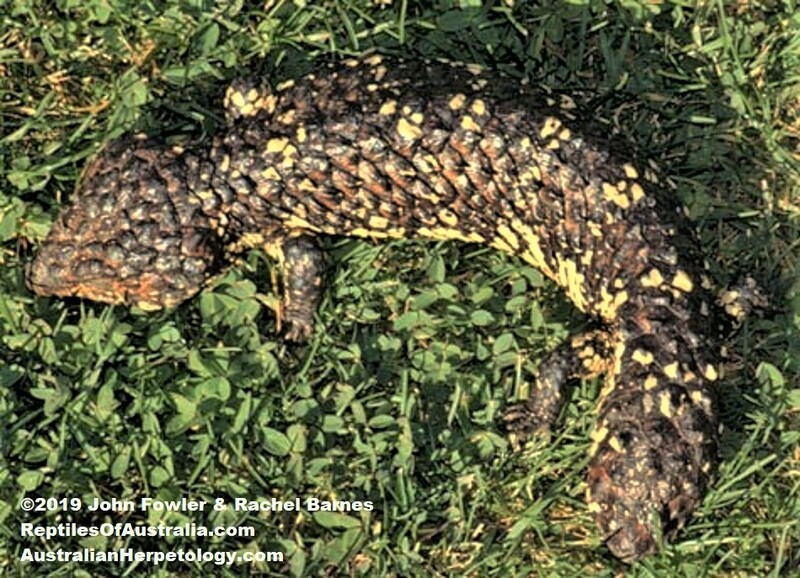 Tiliqua rugosa asper from Cobar, NSW. 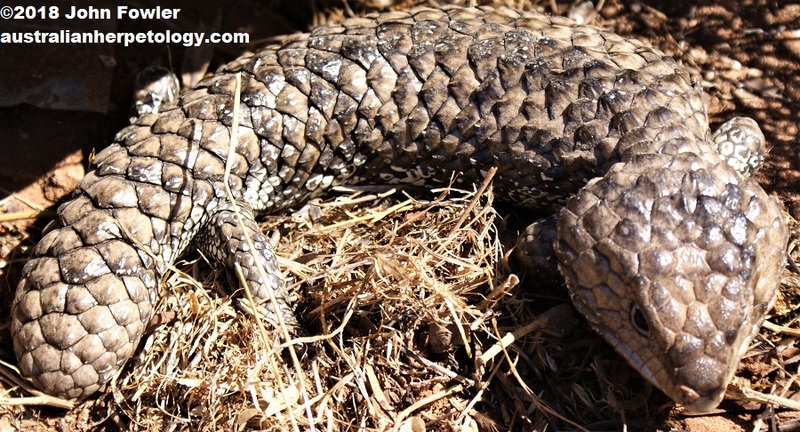 Tiliqua rugosa asper found near the Garfield Water Wheel, Chewton, Victoria. 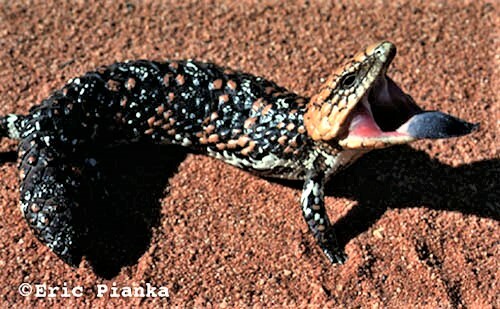 Tiliqua rugosa asper near, Kyancutta on Eyre Peninsula, South Australia. 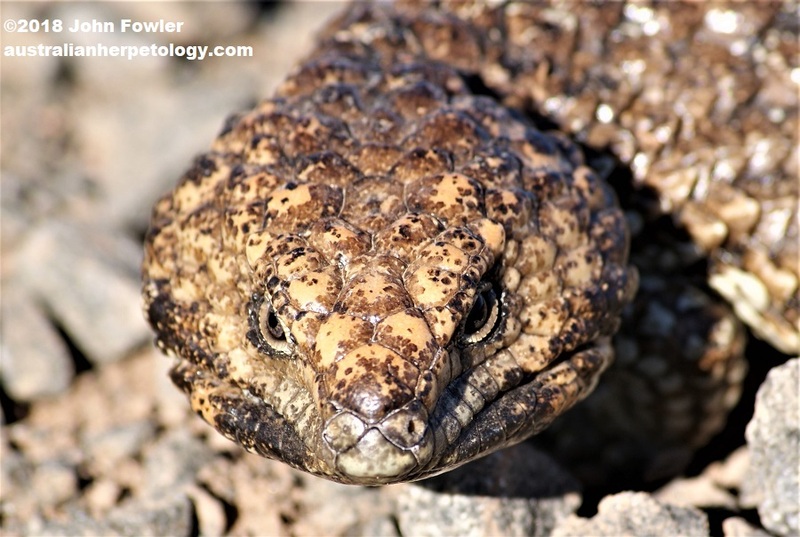 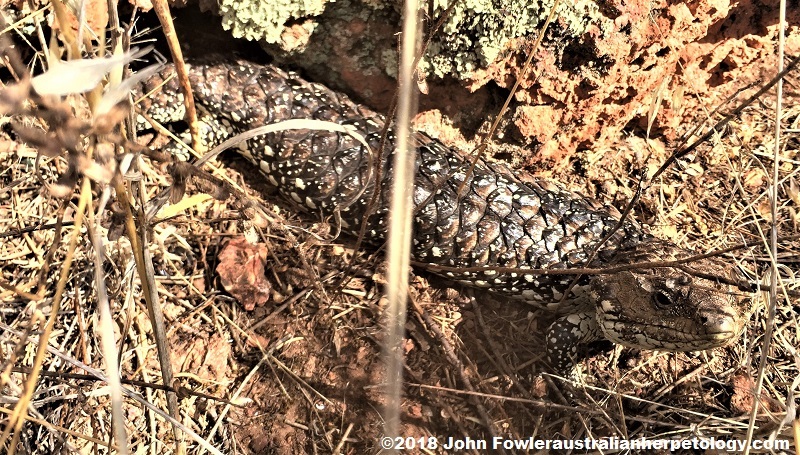 Tiliqua rugosa asper at Whites Knob Lookout, Kimba on Eyre Peninsula, South Australia.